Hello, through some research, I have come across a piece of NJ state land I would like some input on. This land is owned bu NJ state. It is not a park, WMA or state woods designation. I put some boots on the ground and did a walk through. There are no posted signs or no hunting signs anywhere around the piece. My question is, without it being posted, and not private land (so no trespassing) Is it legal to hunt this land? While I have hunted WMA's and plenty of private land. This is a first for me so I would like to ask what everyone thinks legality wise. Any input is appreciated. Thanks guys. Good luck. The property doesnt have to be posted for you to be trespassing. You may beat the charge if it isnt properly posted though. 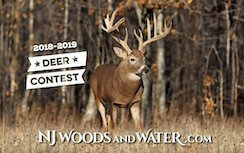 The state owns the median strip woods on the garden state parkway , there are no posted signs but that doesn’t mean you can hunt it ... You’ll have to make some calls to the state F&G to ask. Most state lands can be verified as to hunting by research, sometimes its not easy. Have you browsed state parks and forestry website? I would hunt it. If it’s state land and you aren’t breaking any other laws i don’t see how they could penalize you. Especially if it’s not posted. There is some verbiage in the hunting digest about hunting lands. Have you tried the NJ F&W website? You can usually get facts there. Thanks for the input guys. This isnt a loaded question, like I said I do realize that all state land isnt open to hunting. This particular piece however seems to be a grey area. I feel as though it would be posted because it is in an area that starts at the end residential area. Its is about 75 acres. I cannot find any information confirming that it is legal or illegal to hunt it. There are lots of parcels of state land not open to hunting. Guys try to sneak on Psych hospital land, DOT lands, MVC lands, etc. all the time and get busted. Good luck, maybe the fine is worth it to you. Not looking for a fine or to trespass....Was just looking for some input as there is a lot of hidden spots overlooked because many of us just perceive it to be unhuntable. Thanks. I know a piece of NJ state park land in Allamuchy that is totally legal and unmarked. I did my research by going to the town and finding out all the information before I made the move. I was actually told by the mulch farm that I was trespassing. I laughed and said go get fish and game then the story changed. It’s a sweet little honey hole. Anyone in the area that’s want to know PM me. 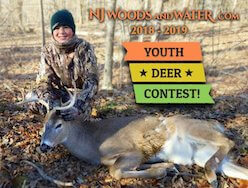 I emailed fish and game back in 2011 about something similar- their response was "any NJ 'open space' that is not posted against hunting, is open for hunting. So... is your patch considered "open space"? You can always go to the geoweb site to check on "open space" land, and the other guide would be public hunting land in the digest and on the web site. That is a bit deceiving because many towns have "open space" land that is not open to hunting, and not posted, but controlled by ordinance. You have to check your towns ordinance to see if hunting township "open space" land is permitted. Some say okay, some say no, others allow it on some pieces but not others. It doesn't have to be posted against hunting because they are not going to nail you with trespassing, they are going to hit you for violating the ordinance, which doesn't have to be posted on trees at the property. Again, just because something is not "posted", doesn't mean you can't be charged for illegally hunting there. According to Fish and Wildlife the entire state of NJ is open to hunting. The only thing that would make a particular piece closed is a designation in writing somewhere or posting of such lands, lawfully. Not all posting of lands is legal or done by those that have the authority to do so.